SkuBrain is a cloud-based demand forecasting and inventory optimization software which uses sales history data to predict future demand and generates recommendations based on current stock levels to allow users to plan their purchasing and manage promotions for any overstocked products. The system is designed for small and mid-size retailers, distributors, and suppliers. SkuBrain compares more than 30 forecasting algorithms in a tournament to identify the model which most accurately predicts sales trends for the historic sales data, and automatically selects the optimal algorithm to create each forecast. Seasonal patterns and individual product trends, such as year-on-year logarithmic sales increases, are automatically detected by the algorithms. Any data in CSV format can be imported and used to create forecasts, and eCommerce integrations with Shopify, Brightpearl, and Vend allow for automatic data sync and real-time reporting on forecasts vs actual performance. Users can also manually adjust forecasts by brand, region, or product to account for upcoming changes, such as promotions or product discontinuations. The replenishment plans which are automatically produced by SkuBrain can be used to generate purchase orders. Users can specify the lead times for each of their suppliers, and define multiple replenishment policies with custom service levels and overstock warning thresholds. SkuBrain can be accessed on any device, and users can collaborate in real time on demand forecasting and inventory planning, and share analysis reports with shareholders. Forecasting - Right Tools, Right Price. We have been working with SkuBrain for over a year and continue to be impressed. Most forecasting tools are far too expensive for small beverage manufacturers, SkuBrain offers the right set of functionality at a reasonable cost. The learning algorithms help breweries optimize projected production, and can to easily push or pull data through live integrations or a .CSV files. By connecting complimentary systems and sources such as VIP users can automatically import historical depletion and streamline data review without having to save multiple versions through an import export process. SkuBrain is an easy to use tool that we highly recommend to all our clients and friends throughout the craft beer community.Easy to use, responsive team and customer service. Easy to use, responsive team and customer service. Highly sophisticated forecasting for a simple heirarchy of products, means a great value. SkuBrain is easy to use, with a simple user interface. And continual evolution of the product means the team is behind the product and we can expect more from it over time. I just compared our high and low forecast for Gaelic that we did and the SKU Brain forecast was right in the middle. So I feel very comfortable with the data it's giving. Plus those forecasts took a couple people many hours, and SKU brain took me 5 minutes. Pricing is based on the number of unique products (SKUs) to be managed. Prices start at $150 per month for 50 SKUs, and 50000 SKUs can be managed for $3000 per month. More than 30 algorithms are run and compared in a tournament, and SkuBrain automatically selects the model which best predicts demand trends for the data, and uses this to create the baseline forecast. Seasonal patterns and trends are automatically detected by the built-in algorithms, both for the business as a whole and for individual product lines. Hierarchical forecasts can be generated, with SkuBrain ensuring that forecasts are automatically reconciled across all forecasting hierarchy levels. Users can manually adjust the baseline forecasts created by SkuBrain to account for promotions, product discontinuations, and other unpredictable circumstances. Analysis reports can be shared with stakeholders, and users can collaborate in real time on demand forecasts and inventory planning. Below are some frequently asked questions for SkuBrain. Q. What type of pricing plans does SkuBrain offer? Q. Who are the typical users of SkuBrain? Q. What languages does SkuBrain support? Q. Does SkuBrain support mobile devices? Q. Does SkuBrain offer an API? No, SkuBrain does not have an API available. Q. What other apps does SkuBrain integrate with? Q. 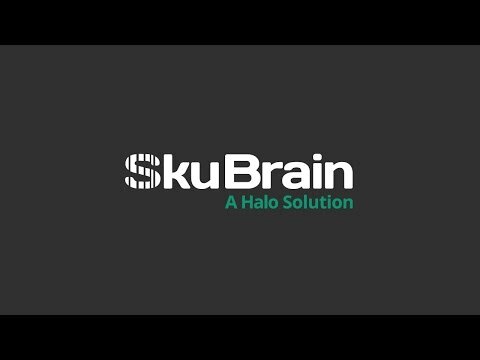 What level of support does SkuBrain offer?